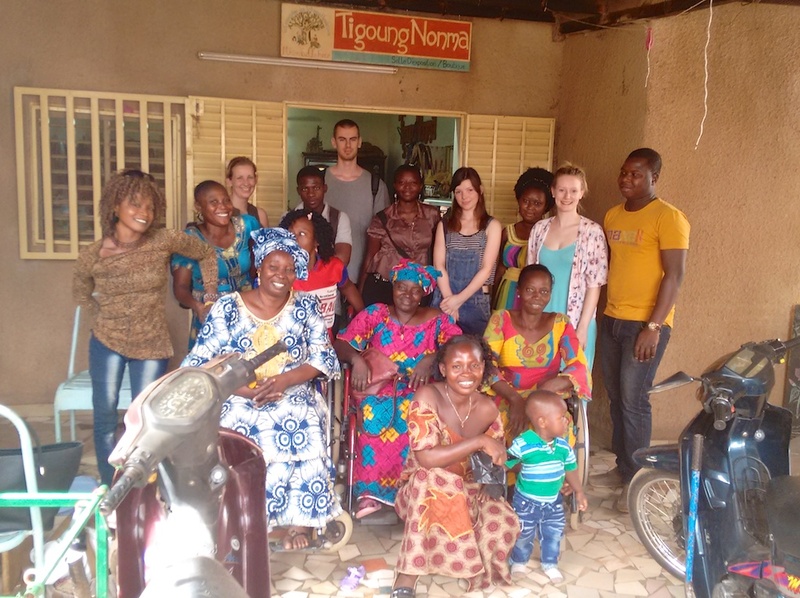 Tigoung Nonma (TN) is a cooperative for persons suffering from physical disabilities in Ouagadougou. FBF and TN formed a partnership in 2014 in an effort to raise funds to build a workshop for TN members. The cooperative operates two primary income-generating activities: handicrafts and a catering service. 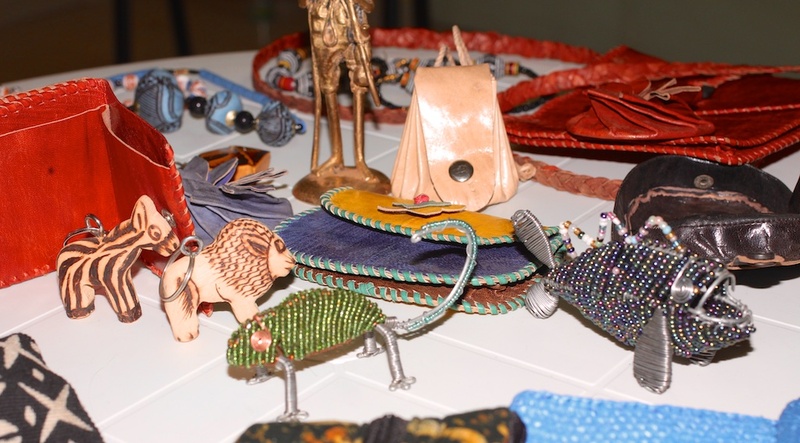 Artisans with physical disabilities make and sell jewelry, baskets, textile products, ceramics and sculptures. 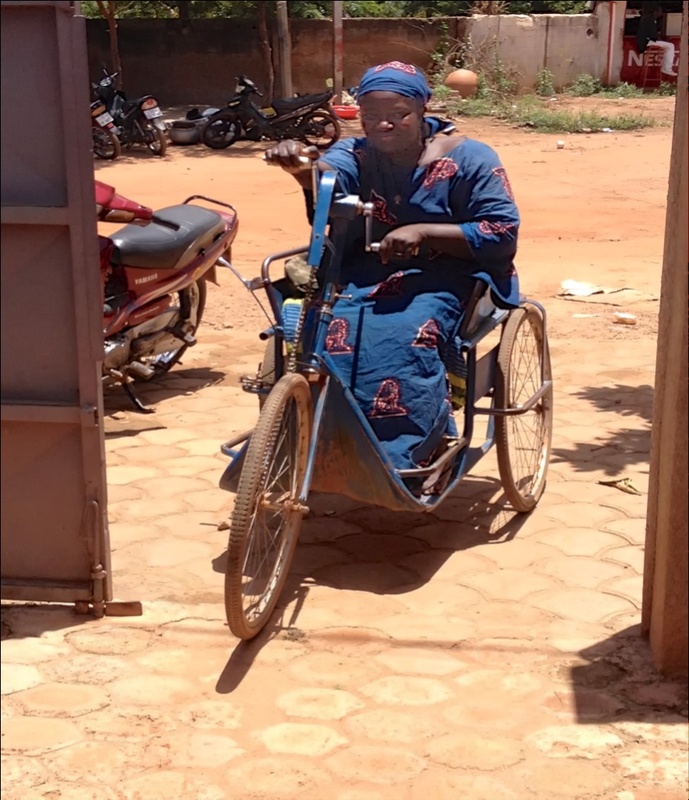 Other members living with disabilities operate a catering service that prepares and delivers meals to clients living in or near Ouagadougou. These revenue-generating activities enable individuals belonging to the TN community to increase their independence and to participate in the socio-economic development of Burkina Faso. TN cooperative members and volunteers. Cecile, a strong and inspiring woman and TN member. 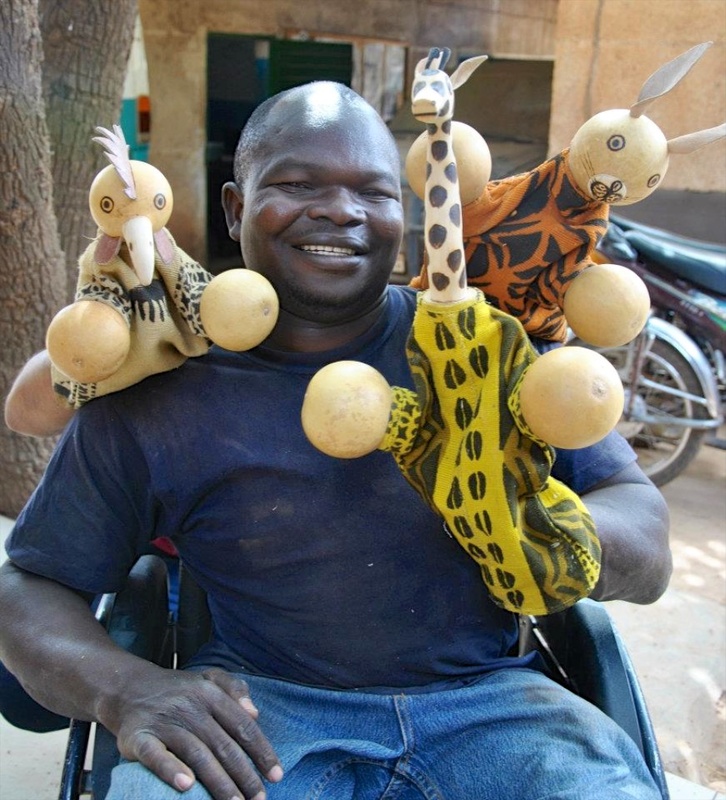 Evariste and the wooden children's puppets he makes. 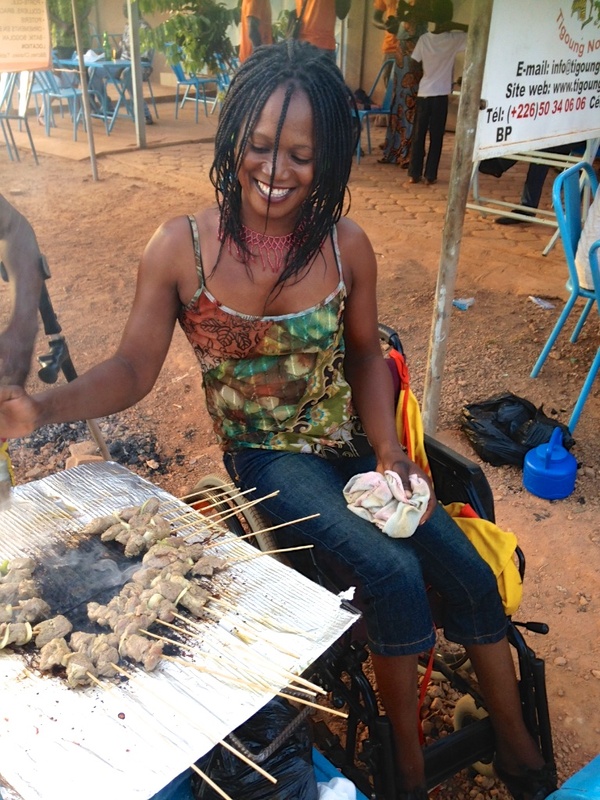 Rasmata prepares brochettes to sell at the local festival.